Front row, left to right, Sally Fleshman, Harriett Teixeira, Theresa Enright, Bonnie Hudak (Grassroots volunteer coordinator), Debbie Mangus, Helen Martin, Maria Hoffmann. 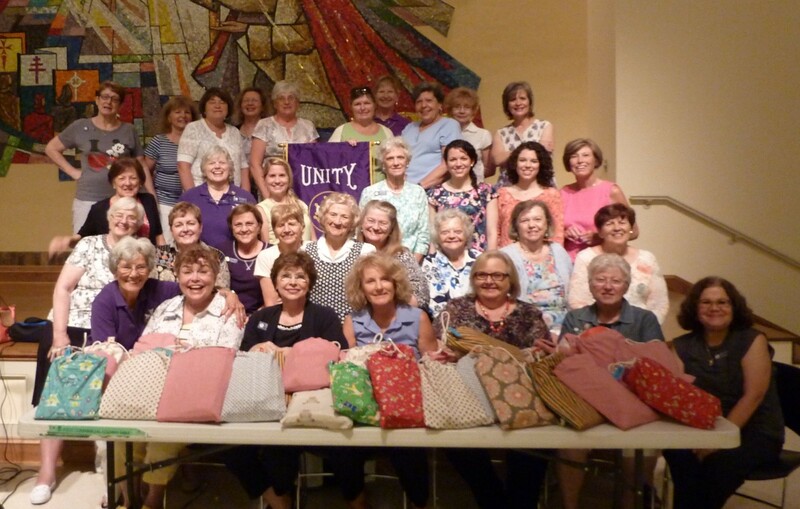 Second Row, left to right, Pat Reynolds, Linda McCabe, Jo-Ann Bielski, Carol Dunn, Martha Wiedel, Daria McGehee, Joyce Nash, guest Lu Roberts, Beth Draminski. Third Row, left to right, Mary Ellen Cote, Anna Whiteman, Joey O'Connell, Phyllis Hipp, Amy Goudreau and Lauren Goudreau (CYM volunteers), guest Joan Kane. Back row, left to right, Ginny Bell, Barb Twardzik, Geri Russo, Mary Lea Bain, guest Anita Gerhardt, Inge Stocklin, Barbara Beach, Pat Hopkin, Geri Madden, Kathleen Frampton.